The 2016 Election has come and gone between the two most talked about candidates in US History, Donald Trump and Hillary Clinton. 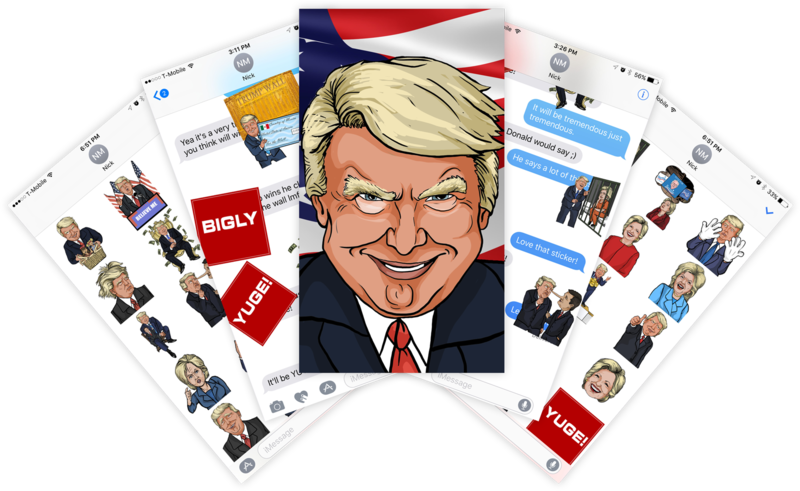 Trump/Clinton 2016 Election Emoji Stickers allows you to spike up the laughter in your texting conversations with emoji stickers based on the memorable one-liners and actions from both Donald Trump and Hillary Clinton. There is only one thing that liberals and conservatives can both agree on during this tumultuous election season. Texting with these hilarious satirical emoji stickers brings levity into one of the most polarizing elections in years.